American car buyers have been flocking to the crossover body style over the traditional sedan. While car sales are slowing down and automakers are getting desperate to offload their inventory, the deals on quality sedans are absolutely bonkers. Of course, boring cars like Chevy Malibu or slow sellers like a Cadillac CTS can easily be had $8,000 or $10,000 off. Those deals are to be expected. But while America swings to crossovers, things are good if you’re in the market for a sedan that’s a bit more interesting. As Americans gobble up crossovers like the Ford Escape, the 2017 Ford Fusion Sport with 325 horsepower and all-wheel-drive can be had for the price of a base model Camry. Have you had your heart set on a new BMW 3 Series, but never thought you could afford one? 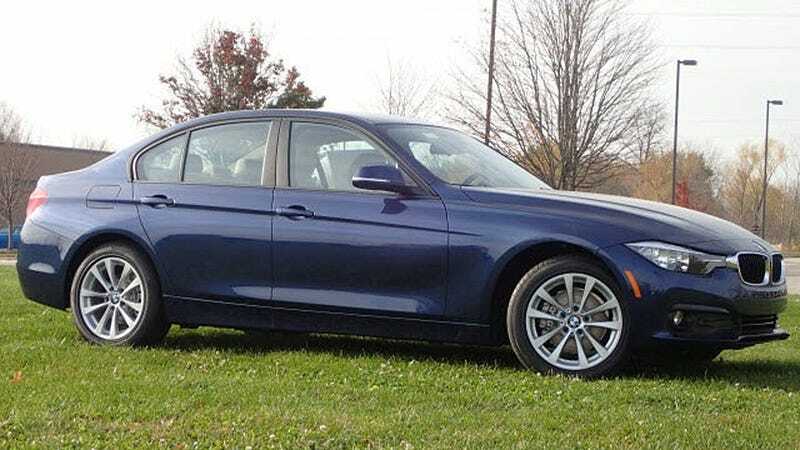 You could score a well-equipped 320i xDrive for under $30,000. Perhaps you were shopping for something a little more luxurious with a lot of technology. The critically acclaimed Mercedes E-Class is also available with some serious discounts. Naturally, the caveat with all of these internet prices is that they may contain rebates and discounts that not everyone qualifies for. Once you get the details the price jumps up and now that insane price doesn’t seem so great. But you really can get a nice four-door for cheap now. To prove it, here are some recent quotes that I received in various areas of the country from to illustrate how aggressive some of these dealers are. As you can see these aren’t bargain basement four-door cars that no one wants. These are nice models with a ton of savings. So if you are one of those types that shun the crossover for the superior dynamics of a sedan, you might be able to upgrade to something a bit nicer than you expected.